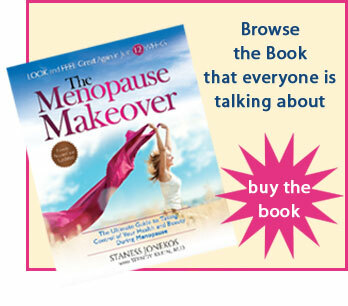 Staness, co-author of The Menopause Makeover, is available to work with you one-on-one for 12 weeks. These women managed their menopause symptoms and reached their healthy weight. Mid-life is the perfect opportunity for reinvention. Are you ready to celebrate a healthy happy YOU? Create change by taking action. Set up your 12-week Menopause Makeover plan. Discuss the latest menopause symptom treatment options. This conversation will prepare you to discuss options with your healthcare provider. Design your food plan weekly. Set up your weekly fitness plan. Discuss your beauty updates and anti-aging options. If you can dream it – you can BE it! Get in touch with your purpose and passion.